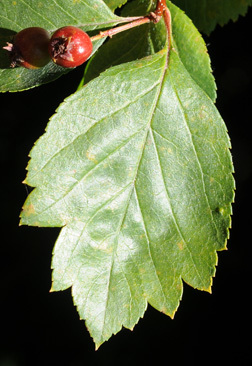 Leaf:Alternate, simple, 1 1/2 to 4 inches long, ovate or obovate, serrate to large-toothed but entire below the midpoint, subtending long thorns, dark green above and paler below. 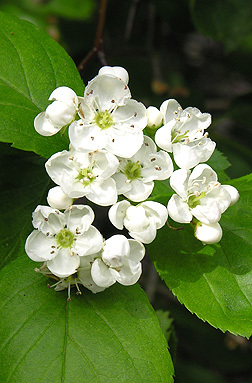 Flower:Perfect, small white flowers 1/4 to 1/2 inch, with 5 petals produced in clusters near the end of the twig, appearing in mid to late spring. 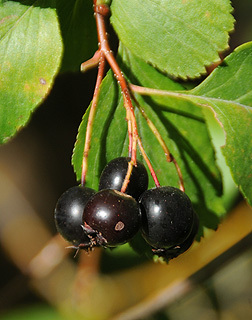 Fruit:Small red to black pomes, 1/4 to 1/2 inch in diameter, maturing in the early fall. 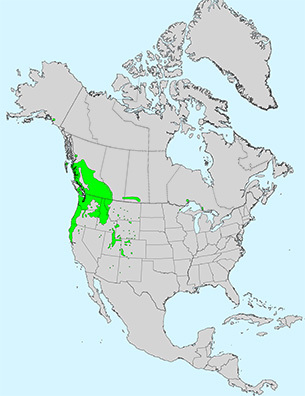 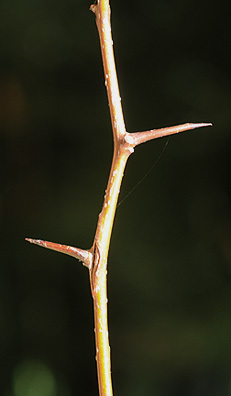 Twig:Slender, red-brown to gray; buds dark, shiny red and round; bearing obvious, stiff, 1 inch long thorns; leaf scars contain 3 bundle scars; spur shoots may be present. 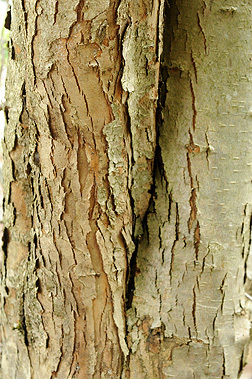 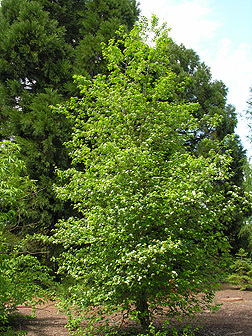 Bark:Smooth and red-brown when young, later turning gray and scaly.